Dominion Hill was purchased by the daughter of Cyrus Curtis, Mary Louise Curtis Bok. She transformed the country farm into an estate with stables, extensive gardens and a carriage house with its own blacksmith shop. Mary Louise was an active philanthropist in Philadelphia and her husband, Edward Bok, worked for his father-in-law as editor of the Ladies’ Home Journal. 1850 born in Portland, Maine. cents by selling a friend’s last three copies of the Courier newspaper. Instead of using his profits to buy fireworks as he had originally planned, the following day he invested in more papers. Being a newsie was tough work since all the best corners were taken, so Curtis convinced the Courier to give him papers on credit and he hit the jackpot by selling papers to Civil War soldiers. His success was noted by a rival paper, the Portland Press, who offered him two established delivery routes, making him $2/week. Dedicated even at the age of 12, he got up at 3:45am to get to school on time. 1865 joined the Portland Argus to make more money. In his early teens he launched the weekly Young America with a friend, whose parents forced to pull out when the first issue didn’t sell. Initial failure turned into success when he learned what readers wanted. 1866 the fire of Portland destroyed his fledgling business as well as his school, ending his formal education. In today’s money his loss amounted to $3,000. He took a job in a dry-goods store to make money. He continued in this line of work for three years, eventually moving to Boston. 1869 continued working in dry-goods and began selling ads for newspapers. 1872 co-founded a weekly business magazine called the People’s Ledger. He met with disaster once again when his co-founder reneged. Hope came when a printer extended credit to him, but this was once again followed by a tragic fire, burning down the Ledger office and leaving him with a substantial debt. However, Curtis’ innovative spirit and persistence continued to take the magazine to a circulation of 30,000 because of its popular features, including full length stories in single issues that made it different from other publications. 1875 Cyrus married Louisa Knapp. 1876 birth of their only child in August, a daughter named Mary Louise. The family moved to Philadelphia, long-time home of the nation’s best-selling magazines and a place where printing was more economical. 1879 launched the Tribune & Farmer, a weekly magazine devoted primarily to agriculture. Curtis inserted a one-page supplement in the publication that he thought would appeal to women. It is said that Curtis’s wife, Louise Knapp, hated it, deeming it a laughable attempt by men to come up with useful advice for homemakers. So Curtis challenged her to run it herself. “Taking on the challenge, Louise created her own materials to replace the clipped ones Cyrus had been running. “Within a few months, her column became a page, and soon the page evolved into its own supplement under her editorship” (ExplorePAhistory.com). 1883 Louisa’s column had become an 8-page supplement which was spun off as Ladies’ Home Journal, amassing 25,000 subscribers within a year. Encyclopedia Britannica describes Ladies’ Home Journal as “one of the longest-running [magazines] in the country and long the trendsetter among women’s magazines”. A partner takeover of the Tribune & Farmer allowed the Curtis’ to focus on the Journal. Klepper and Gunther report that “with the Journal, Curtis established the model for success in mass-market magazines.” Its success was due to an innovative multiple subscription “club” and a large advertising campaign. 1890 Edward Bok was hired as editor of the Ladies’ Home Journal and continued to lead the magazine for 30 years, shepherding it toward great success and courageously taking on controversial issues. At age 13 Cyrus and Louisa’s daughter (Mary Louise) became one of 16 people on the staff of the Journal and began writing under her mother’s maiden name, Mary L. Knapp. 1896 at the age of 19 Mary Louise Curtis married Edward Bok. 1903 the Journal was the first American magazine with 1 million readers. 1929 Mary Louise served as board chairman of the Philadelphia Grand Opera Company until 1934. 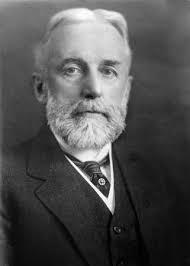 1930 death of Edward Bok, ended his 34 year marriage to Mary Louise Curtis. In this time of economic depression, Mary Louise provided jobs for the unemployed in Rockport and Camden, Maine .Over the years she provided improvements for these towns near her father’s birthplace. 1932 Mary Louise received an honorary Doctor of Humane Letters from the University of Pennsylvania and a degree of Doctor of Music from Williams College. 1933 Curtis died at age 82, leaving Mary Louise as the chief beneficiary of his estate with an inheritance estimated between $18-20 million. She then became the largest shareholder, director and vice president of Curtis Publishing. 1937 Mary Louise received a gold medal from the National Institute of Social Science for “distinguished service to humanity” and for “giving genius a chance”. 1943 Mary Louise married Efrem Zimbalist, world-renowned violinist and director of the Curtis Institute. The New York Times reported that “Mr. Zimbalist was acclaimed by colleagues, critics and the general public as one of the most respected musical figures of his time.” He “was one of the distinguished alumni of Leopold Auer’s legendary violin classes in Czarist St. Petersburg” and first appeared in the US in 1911.He joined the faculty of the newly formed Curtis Institute in 1928, becoming its director in 1941 and serving in that position until 1968. He is the father of actor, Efrem Zimbalist, Jr. and the grandfather of actress, Stephanie Zimbalist. 1968 peak of circulation for Ladies’ Home Journal – 6.8 million. However, the post WWII arrival of television ultimately brought about the collapse of general interest periodicals like the Ladies’ Home Journal and the Saturday Evening Post. 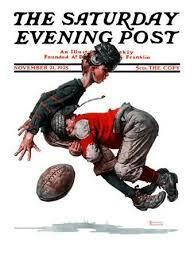 1969 the Saturday Evening Post went out of business after losing a $3 million lawsuit for defamation. It was resurrected two years later and is still being published albeit six times a year. 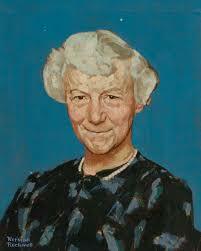 1970On January 4thMary Louise Curtis Bok Zimbalist died in Philadelphia, PA. In her will Dominion Hill was left to her most trusted staff.